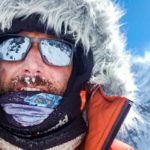 Canada to North Pole without assist/support and a crossing of Antarctica in the same style: American Ryan Waters is a polar exploration star. 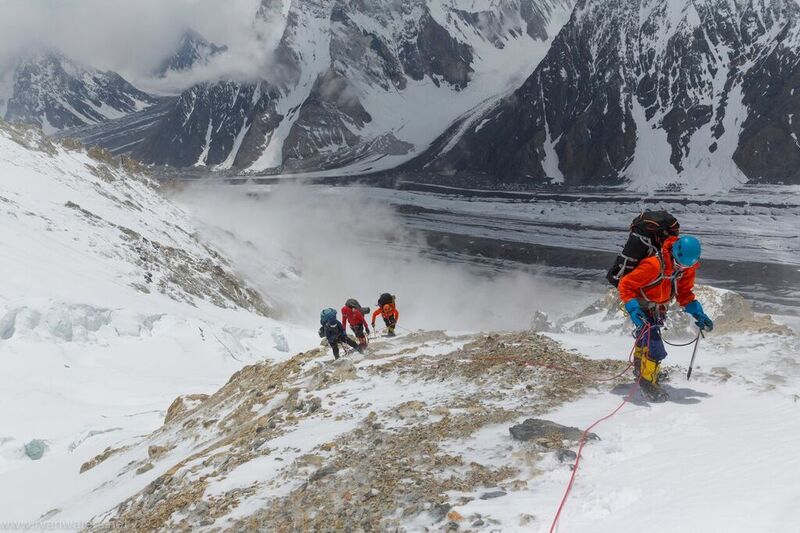 This past Karakoram summer season the high altitude mountaineer solved a challenge of a different kind: take a small team of clients up the massive Broad Peak (26,414′/8051m) without much help from the outside. 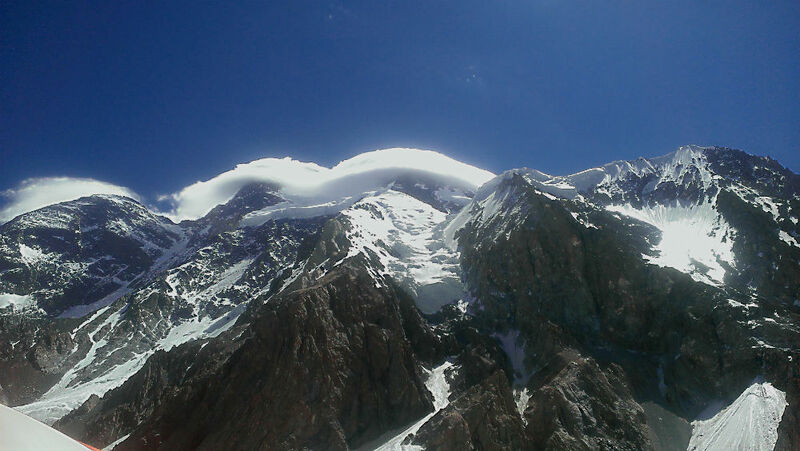 It became a beautiful display in old style guiding: Piecing things together with old lines – the small commercial outfit and independent climbers side-by-side. We checked in with Ryan for the debrief. Explorersweb/Pythom: Hi Ryan, I understand you were a small bunch on the peak. Who was in the team? 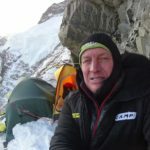 It was a very interesting year on Broad Peak, I was there guiding our Mountain Professionals team along with our other guide Tomas Ceppi. We had Benedicte Teigen Gude, Gaute Teigen, and Stephan Mertesdorf, plus High Altitude Porter on our team. They were a great group and worked very hard on that trip. Explorersweb/Pythom: You guys were supposed to share mountain work with another group that never showed. What happened? 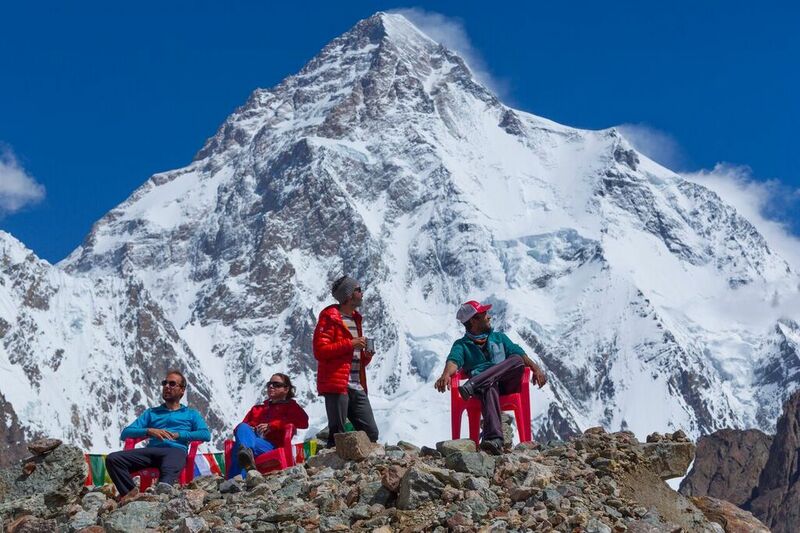 Ryan: It was very weird to see groups just walk past Broad Peak base camp and head to K2. 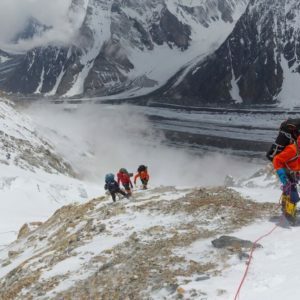 It was like an ant trail some days, I am sure that the commercial operators that were known to be going this year enticed many independent climbers to try their luck on K2 figuring the route would get sewn up with fixed rope by Sherpas. 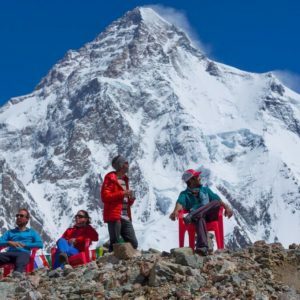 So apparently some groups that had permits for both peaks, went there first and never made it to BP, and there was trouble for some other dedicated Broad Peak groups that got turned back for whatever reason and never made it to the mountain, political issues within certain groups is what I understand. We knew we were going to be there first there, so we brought a lot of rope to get the first part of the mountain fixed and then could join forces with other teams as they came to fix higher up. But only one real team showed up later and so things took a bit longer for us to coordinate more rope and fixing. But we did get it done together in the end. 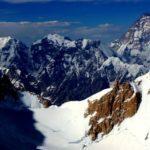 Explorersweb/Pythom: BP is a big mountain – how did you build it on such a small group? Did you have enough rope, anchors etc? 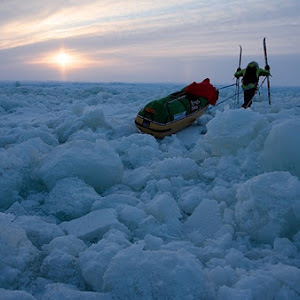 Ryan: We brought like 1600 meters of rope and a ton of snow bars, ice screws etc. We were piecing things together with some rope that survived from the season before, a lot of 11 mm static line, that still was like new a year later, so we were able to use parts of that on moderate terrain to connect sections. 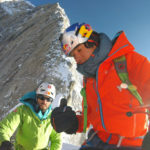 We worked with Oscar Cadiach and his partner Lolo, who did a lot of work on the route higher up. So yeah, we had plenty of gear in the end. 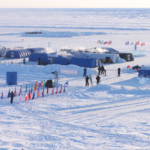 Explorersweb/Pythom: Oscar’s team arrived late at BP – what was their contribution? 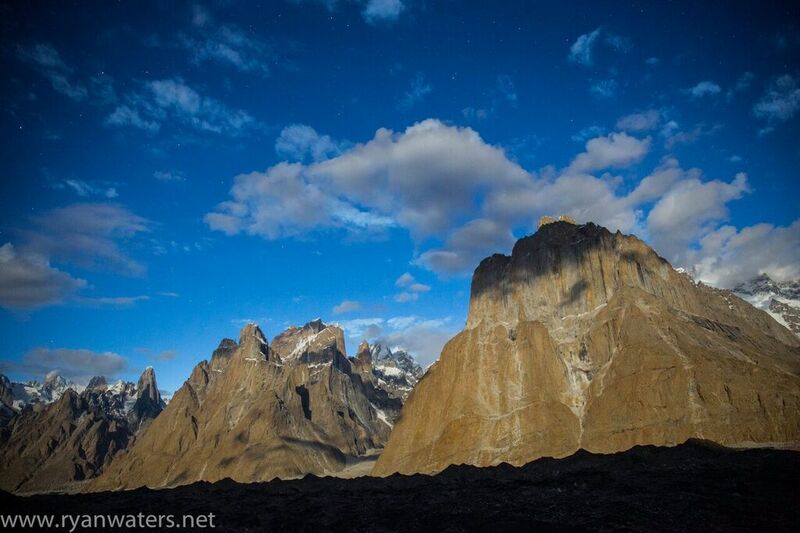 Ryan: Oscar, Lolo, and the guys came through on the rope fixing from C2 – C3 and parts of the route below. They definitely worked hard on the upper mountain. We sure needed them for rope and gear contribution to the fixing so it was great to work with their team. Explorersweb/Pythom: You mentioned “old school guiding” – what’s that? 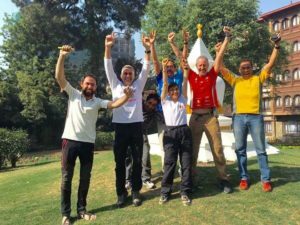 Ryan: You know most of our normal trips we do in the Himalayas, especially Nepal, we have our Sherpa army to work with our clients along with our guides. We went about it a different way on this one Broad Peak trip, which now in the world of commercial guiding just does not happen much anymore: We climbed with a higher ratio of mountain guides and had less local HAPS but still had a one to one climber to staff ratio, more like a true foreigner climbing team. The amount of work Tomas and I did was a whole lot, between going on missions to fix rope and then come down for a day or two of rest, and then go back up with the clients. That is the way it used to be quite honestly in Pakistan, and even in Nepal many moons ago. Even though it was a lot of work, it was fun, and the way I came up, back in the day. 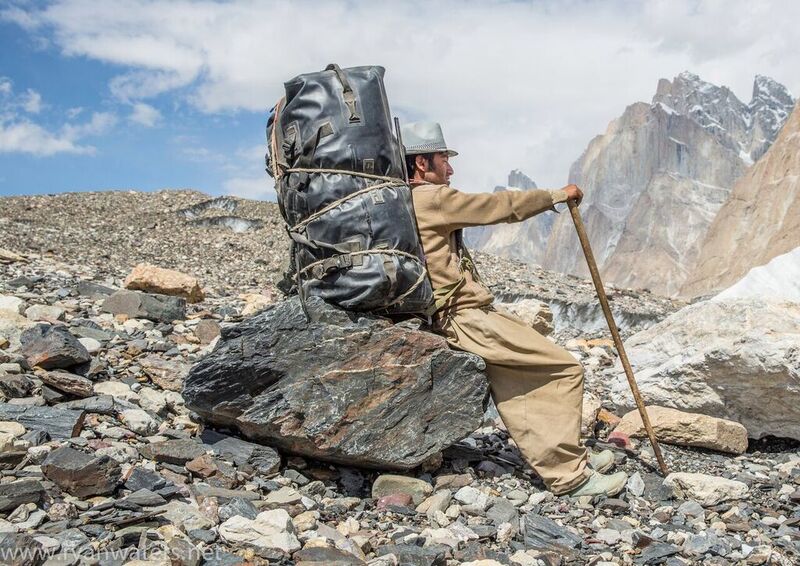 So it did not feel weird to me, in Pakistan that is how things always have been done there, until you walked over to K2 base camp and felt like you were in Nepal, with the number of Sherpas. It was pretty funny, but I knew our specific clients would enjoy the style on that trip because it was kind of a private expedition. We had a 1:1 ratio but it just worked out to be more guides instead of Sherpa or HAPs, I got enough load carrying so we go back to the new way on G2 next year! 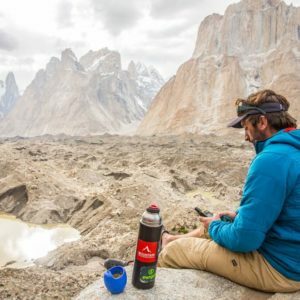 Explorersweb/Pythom: Small businesses are struggling and it seems like some Himalaya operators can’t fill expedition spots like they used to, while others (like you) are still thriving: What are your thoughts on this? 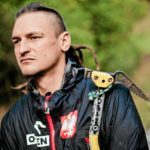 Ryan: Mountain Professionals will have its largest group yet on Everest this upcoming season, and though we keep our teams limited to smaller size groups, it is a great feeling to see the positive feedback of returning climbers. 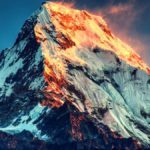 We tend to have a personal relationship with our clients and know them well, know their families, and can have personalized conversations about when is the best time to take that next mountain step to a higher peak. 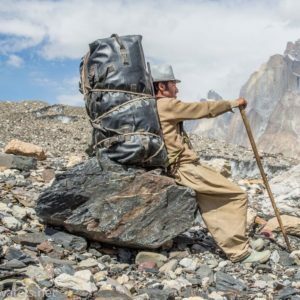 I know that there are a lot of factors involved with the changing landscape, and I could probably go on for too long a time, but one big factor is probably the cheap expeditions being offered in the himalayas. 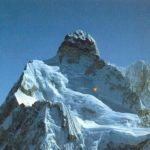 I feel like this has changed a dynamic, since there are more and more people going to climb there in the Himalayas, they may be signing up with cheaper outfitters that do not care if prospective clients have appropriate skills to go on said trip. 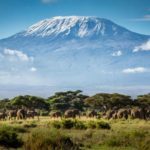 Whereas, the more historically established foreign companies, still tend to want to see that you have done some peaks and built up the proper experience. These days it seems there are a lot of climbers that want a fast fix, similar to our attention spans evolving, and so they forgo the longer road of gaining valuable experience on smaller peaks, and just sign up with a local company that will take them to Everest for cheap. But they don’t realize that this comes with drawbacks! Additional costs, hidden fees, less experienced staff, and marginal to no safety procedures or gear to name just a few. I think this has hurt some of the bigger guide services. Explorersweb/Pythom: Overall we see much fewer small outdoor brands/manufacturers of gear these days, is this your experience too and what do you think is going on? 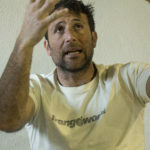 Ryan: I think it is probably the same as trying to start a guide service… there are established brands that have been making gear for 40 years and so their name or specific product has saturated the market. But I am still up for supporting smaller companies gear, Mtn Pros uses mostly Black Diamond equipment which is a larger brand, but for example the best sleeping bag I have ever used is from Nemo, who a lot of people probably don’t know. We used the Canon -40 on the North Pole, I plan to use it on my South Pole trip in November, and I use it in the Himalayas… So that says something about the smaller companies quality. 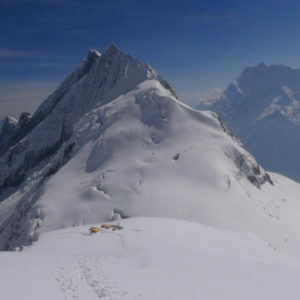 Explorersweb/Pythom: Do you have spots available for Everest spring and what’s your approach? Ryan: We do have some space, although we have a few people who are in the process of deciding if they will go this Spring or the next, so the space is limited depending on their decisions. 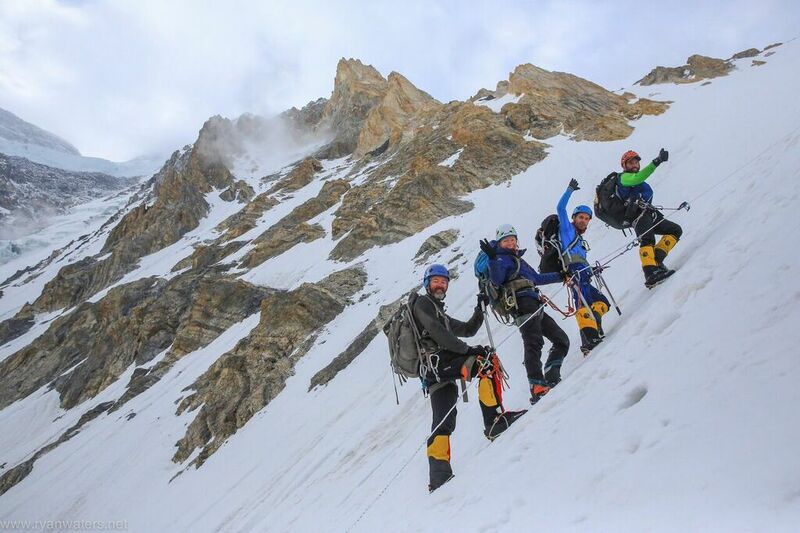 We prefer to put a maximum of 6-8 climbers on our team, which helps retain the small climbing team feeling, and we move together on the mountain, we can really work together with our guides and climbing Sherpa staff to be an efficient climbing team and help each other. 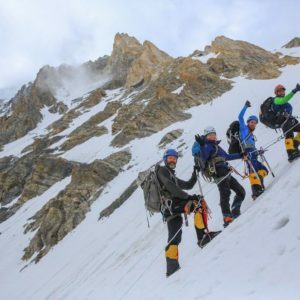 It has allowed us a lot of groups in the past on 8000 meter peaks where everyone on our teams summit, so something must be working with this style. 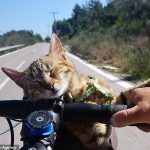 Explorersweb/Pythom: What are you up to right now? 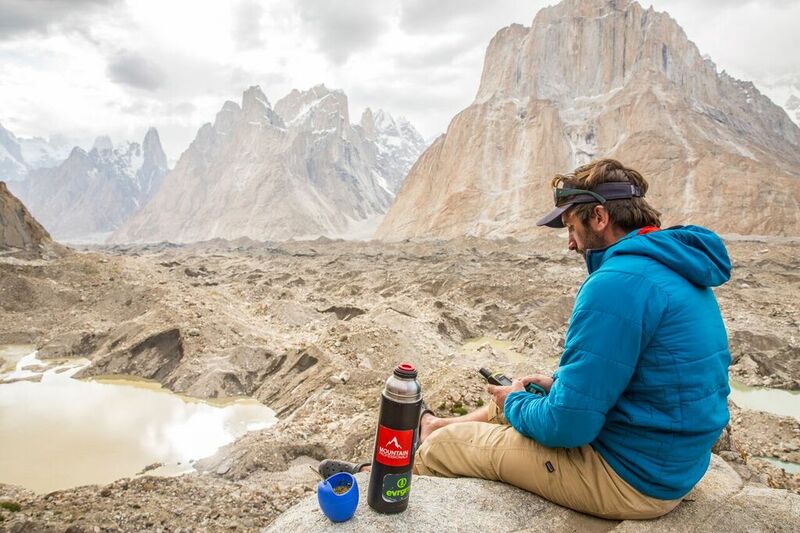 Ryan: I have been chained to the office, we have a huge year coming up, South Pole Full Ski trip, Vinson, Aconcagua, Carstensz Pyramid, some Patagonia trekking, and then into the Spring with Everest/Lhotse, so the planning stage is in full swing on many trips. 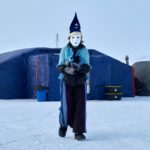 Explorersweb/Pythom: What’s up for you on Antarctica this season? I only know of one other guided group that did a full unsupported trip, and normally our full trip has resupplies, but again, I have been on many trips with all the people on the expedition and know that they are ready for this kind of challenge, it was their idea! Explorersweb/Pythom: Anything completely new on the Ryan horizon? 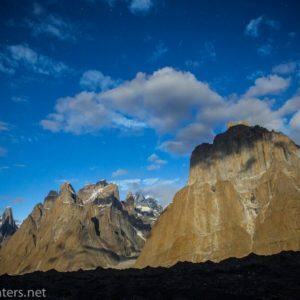 Ryan: I may have a secret plan for next Autumn, the unclimbed peak trip I did with Eric Larsen was pretty fun, and the exploratory aspect is just so compelling, so he and I are throwing around the ideas.